RICO’S PICK :: BATGIRL #35: Project Rooftop has known it for years, passion for old characters can be reignited with a great costume redesign. This is tricky though. The entire New 52 launch was redesigned across the board with varying levels of success. An almost universally loved costume redesign for an established character is almost unheard of. 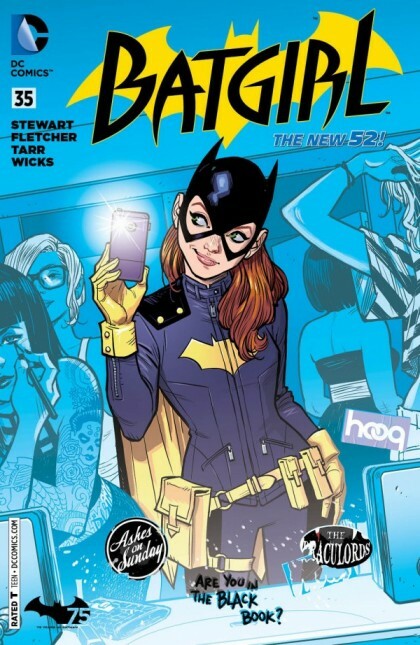 Babs Tarr and Cameron Stewart have accomplished this rare feat with their Batgirl revamp which starts next week. Brendan Fletcher (co-writer of the wonderful Gotham Academy) is co-writing Batgirl along with Cameron Stewart while Stewart does layouts for Tarr who does the finished black and white art. The team is rounded out by brilliant cartoonist and HeroesCon darling Maris Wicks on colors. I’m looking forward to seeing where this team takes Barbara Gordon!